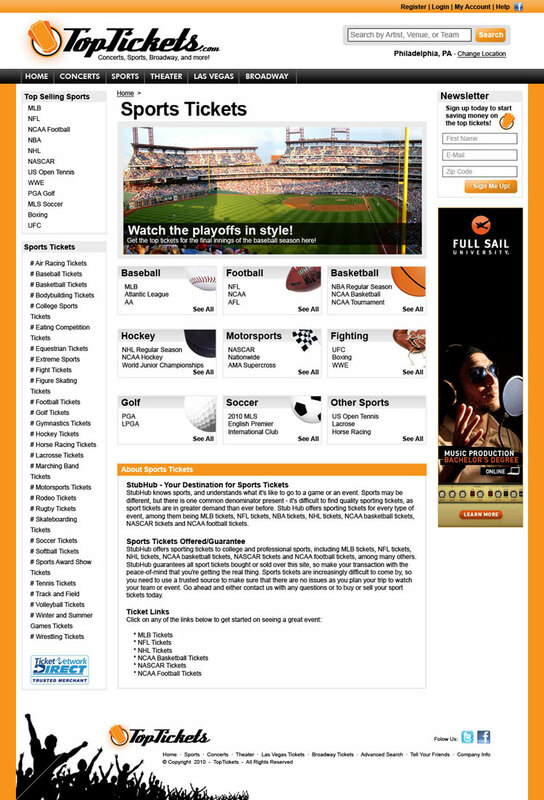 A really fun and interesting assignment was to design a website for Top-Tickets, a website owned by National A-1. 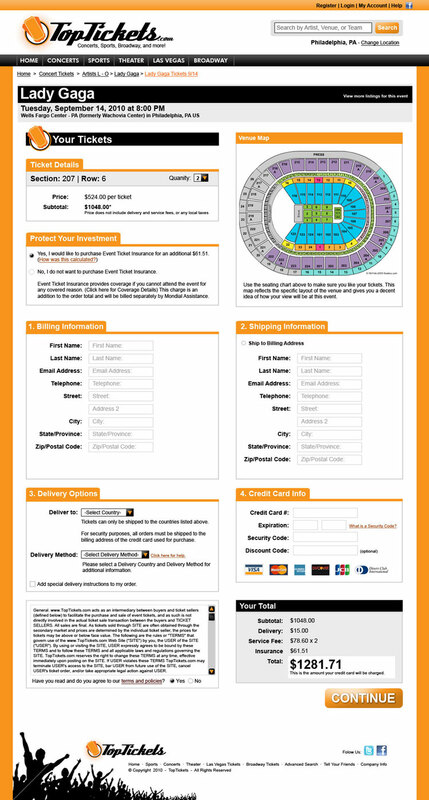 It was your basic ticket-broker site that used a back-end system that automatically would take care of the buying and selling of tickets. 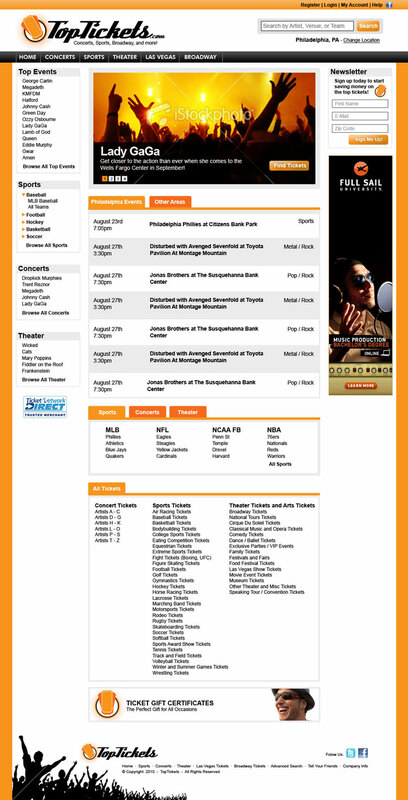 In short, Top Tickets was just a custom look and feel for the site. I created the design to allow users to have a nice and fun experience. The site was to use SEO-rich HTML and CSS to help with download speeds. Despite all the front-end coding being done, the re-designed site was never launched.